For the long weekend, we organized a pizza night with our nephew, Dylan and niece, Keira. 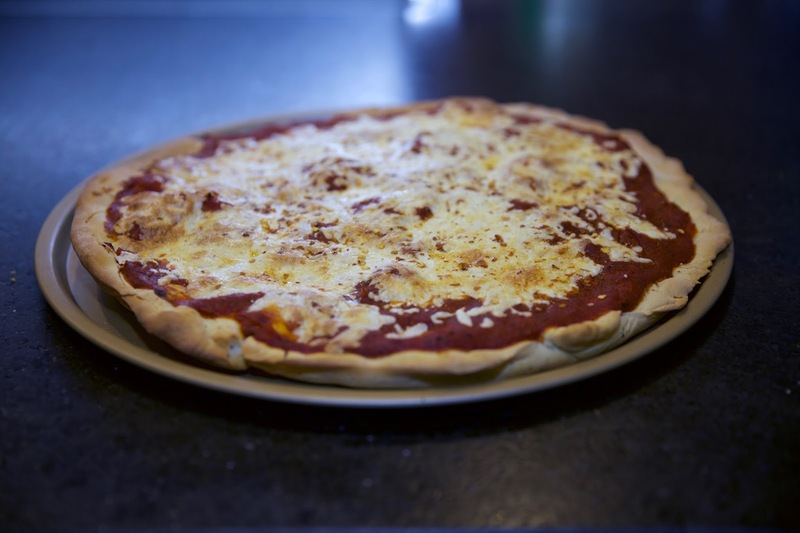 Kids love pizza and they love helping in the kitchen, so we decided to combine the two together! We had a blast and we are excited to share the details with you. Dylan and Keira are the perfect sous-chefs. Keira and Archana even made pizza together last year this same weekend. When making pizza, remember that the dough needs several hours to rise. Archana prepared the dough the night before and let it rise overnight. Dylan and Keira both grated the cheese. Keira also helped roll the dough and assemble the pizzas. Our marina pizza was delicious! The adults sprinkled some crushed red pepper, of course! After dinner, we made a dessert pizza. We rolled more pizza dough and added some cinnamon to our dessert dough. We spread a thick layer of nutella and sprinkled sliced strawberries, blueberries and white chocolate chips. We actually liked this dessert pizza better than the s’more dessert pizza we made last year. Previous Post A New Year! A New You! First I like both the pizza and the dessert. Second I like how you engage the children and make it a fun time together. What a great family bonding time! Oh wow, what a fun and great experience you had with the kids. Looks like they really enjoyed it. I would love to try making this with my kids. Oh wow what a brilliant idea to have a pizza making night. The children looked like they really enjoyed it and the dessert pizza looks amazing! I am hiding that nutella pizza from my husband, or it will be breakfast lunch and dinner! It looks like the kids had a blast. What a fun activity to do with the kids! I have such great memories making pizza with my dad and sister as a young girl. I love making homemade pizza. It's so much fun as a family activity and then super delicious afterwards. I love the idea of helping kids be grown-ups. Also, that sweet pizza looks delicious!